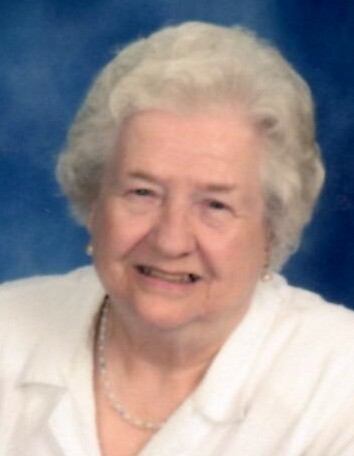 Obituary for Erma G. Long | Fox Funeral Home, Inc.
Erma G. Long, 90 of Saxonburg went peacefully into the arms of her Lord on January 21, 2019 at the Sunnyview Nursing and Rehabilitation Center with family by her side. Born July 21, 1928 in Penn Twp., Butler County, PA, she was the daughter of the late Howard W. Bartley and Rose Kammerdiner. Erma was a member of the Penn Twp. High School Reunion Committee, card clubs, church socials and events. She was an active member of the Middlesex Presbyterian Church. She enjoyed bowling, golfing, swimming, boating and water skiing, RV traveling, blue grass music. Erma also loved card games and dinners with friends and daily walks. She was a talented seamstress and enjoyed crocheting caps for infants. Surviving are sister in laws, Nancy J. (Joseph) Mellish, Rosella Long Thomas, Sue Bartley, Penny Bartley, brother in laws, Frank Schoentag, Jr. and niece, Judith (Ken) Kemery and devoted aunt to many nieces, nephews, great nieces and nephews and friends. In addition to her parents, she was preceded in death by her husband, Richard A. Long, sisters, Vernetta Marsh, Arlene and Robert Lockhaiser, brothers, William, Herbert Bartley, and Wayne Bartley Sr., sister in laws, Peggy Schoentag and Cora Bartley, brother in laws, Leroy Thomas, Glenn and Reta Long, Robert and Marge Long and many close and good friends. We wish to thank the staff at Sunnyview Roseview for their devotion and care. Friends will be received on Friday, January 25, 2019 from 2-4 & 6-8 pm at the Fox Funeral Home, Inc., 410 W. Main Street, Saxonburg. Services will be held on Saturday, January 26, 2019 at 10:30 am at the funeral home with Rev. Kevin Bowen officiating. Memorial donations may be made to the Middlesex Presbyterian Church.